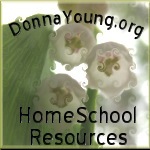 Please consider entering the Homeschool Share contest. It is one of my favorite places on the web. So many great units, lapbooks and notebooking pages - FREE!